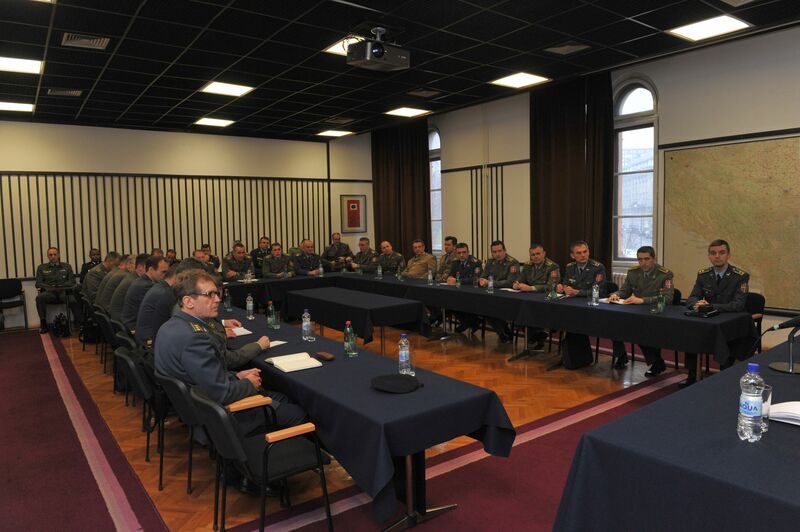 The attendees of the 58th class of the General Staff Course paid the visit, which is within the curriculum of the Course, to the Military Intelligence Agency (MIA) of the Ministry of Defence of the Republic of Serbia. 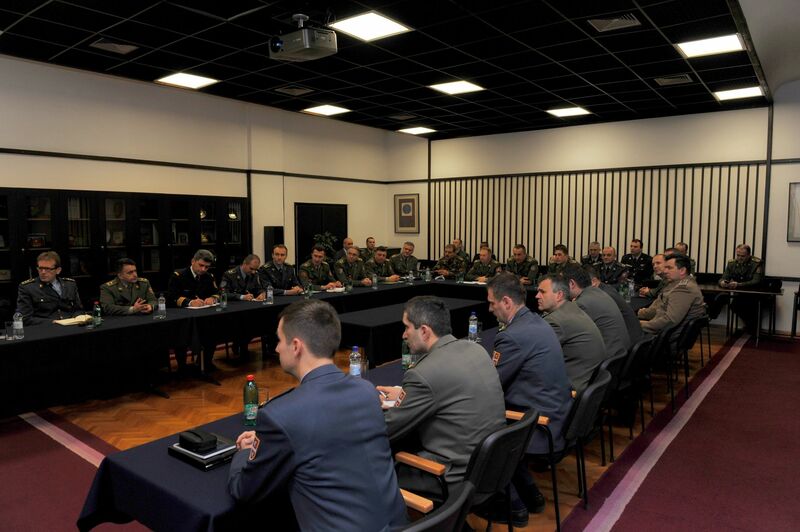 The MIA’s Director Brigadier General Slavoljub Dabic expressed his satisfaction with the visit of the participants in the General Staff Course which year after year confirms the importance of the officers’ training. "I expect to continue this tradition in the future as well as that the knowledge you gained here will help you to carry out the tasks that lie ahead of you. 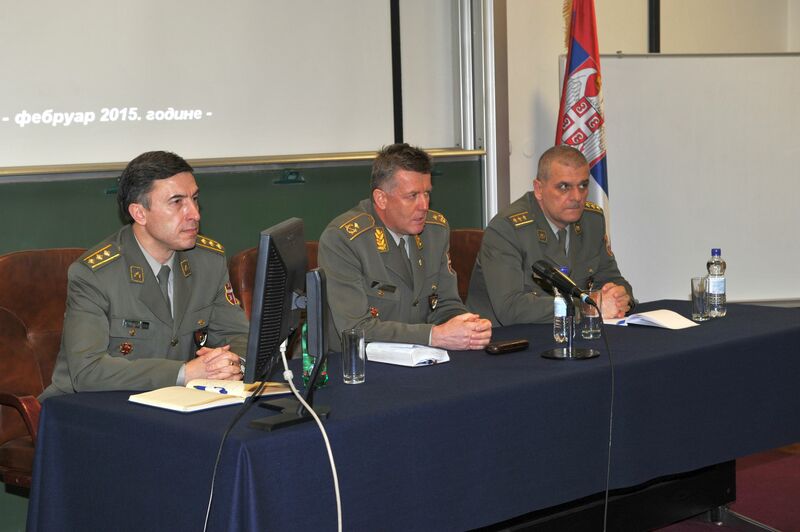 As the future leaders in the Serbian Armed Forces and Ministry of Defence you should bear in mind that the MIA’s function within the defence system is very complex and highly important", emphasized the Brigadier General Dabic. 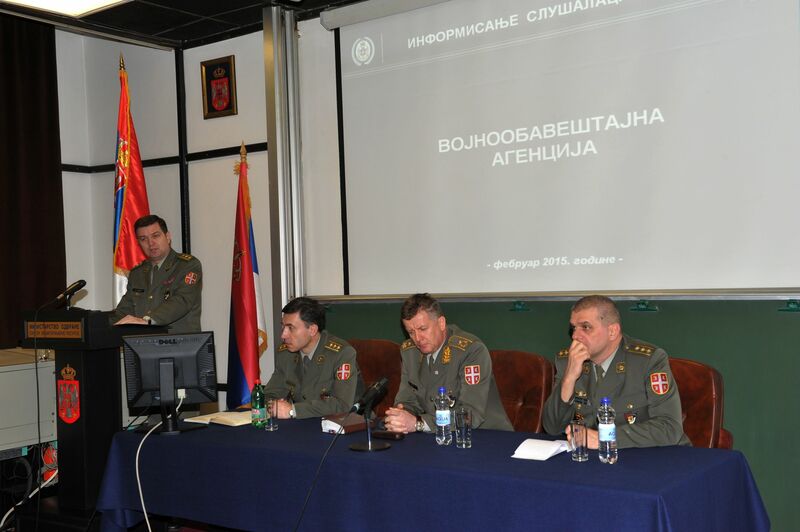 The Director presented the General Staff Course’s participants the key elements of the functioning of the Agency, primarily the place and the role of the MIA in security and intelligence system of the Republic of Serbia. In the addition, the visitors were briefed about the organizational structure of MIA, its competences, tasks and missions.